Baghdad (AFP) - US Defence Secretary Ashton Carter arrived in Baghdad Saturday to review the six-day-old offensive to retake Mosul, the Islamic State group's last major stronghold in Iraq. He will meet commanders from the 60-nation coalition which is led by the United States and assists Iraqi forces in their drive against the jihadists. Carter is also due to meet Iraqi Prime Minister Haider al-Abadi and is expected to discuss Baghdad's objections to Turkish involvement in the Mosul operations. 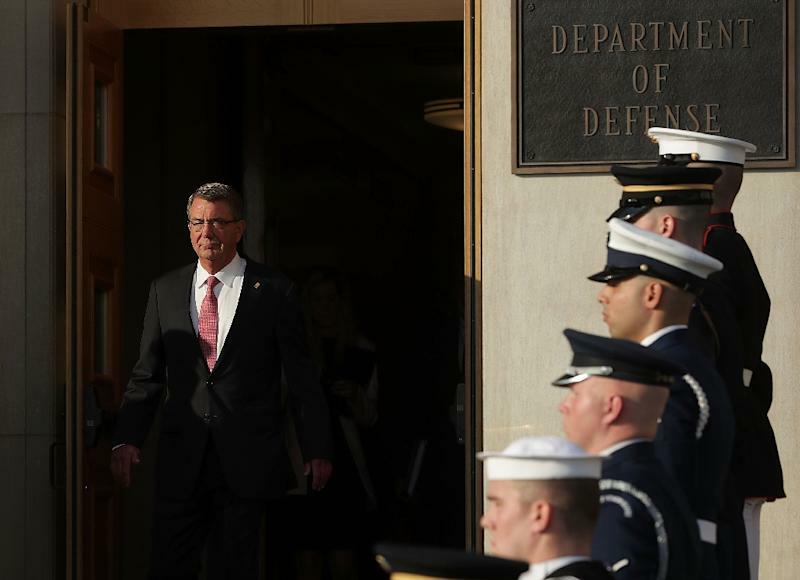 The Pentagon chief was also expected to discuss the post-IS future of Mosul, Iraq's second city and the place where jihadist supremo Abu Bakr al-Baghdadi proclaimed the caliphate in June 2014. The ethnic and religious mosaic of the Mosul area as well as the involvement of many foreign countries in the operations make any post-conflict political settlement a complex affair. "There will be a big job of reconstruction and stabilisation after," Carter told reporters travelling with him on Friday. He said it was crucial that efforts to stabilise and rebuild Mosul after ousting IS not "lag behind our military efforts, that's critically important." The United States has around 4,800 forces deployed in Iraq as part of the anti-IS coalition advising and training local forces. One US service member was killed by an improvised explosive device on Thursday northeast of Mosul, where Kurdish forces are leading a push on an IS-held town.